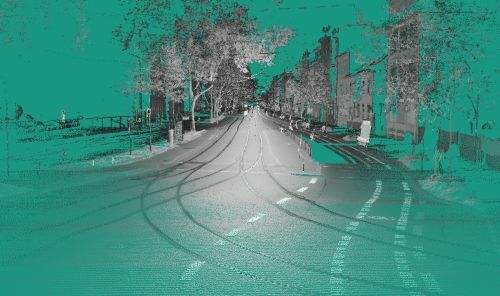 We use lidar (light detection and ranging) sensors for the detection of railway infrastructure elements. Especially when detecting turnouts and knowing the branching direction thereon additional topological information can be obtained. Using this information for train-borne localization systems will improve those positioning accuracy especially when having nearby tracks or passing turnouts. A precise localization of trains in the railway network is required for safe operation. Current systems such as ETCS level 3 tend to bring more sensors into the train. In our research, we solely rely on train-borne sensors, such that no further equipment will be needed for localization in the railway network. 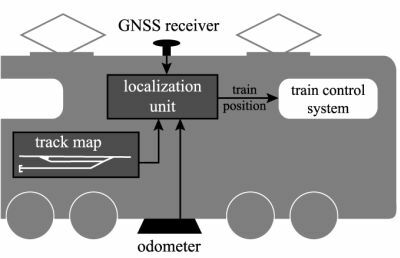 Common train-borne localization systems base on GNSS (global navgiation satellite system) receivers, odometers and digital track maps. Especially when having nearby tracks those systems cannot immediately determine on which of those several tracks the train currently is. 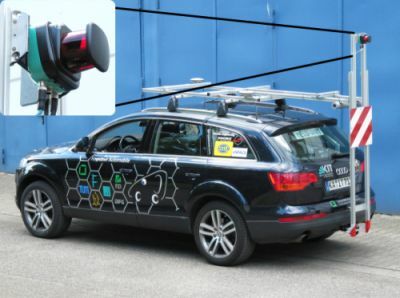 Furthermore, those systems have severe shortcomings concerning accuracy (e.g., odometers tend to drift) and availability (e.g., GNSS is not available in tunnels). We believe that the ability to detect turnouts and the branching direction thereon is the most valuable clue for improvement. Knowing the branching direction provides topological infomation about the train position. Thus it complements the geographical information of GNSS and the longitudinal position information of odometers in an ideal way. With such a sensor setup a track-selective localization would be possible even if GNSS is unavailable or disturbed. For this purpose we have tested several sensors (Sick LMS200, Sick LMS511, Pepperl+Fuchs R2000) and designed a setup for flexible tests within tramway environments. Currently we work on the robust detection of rails as well as the ego and parallel tracks. This is the foundation for turnout detection.